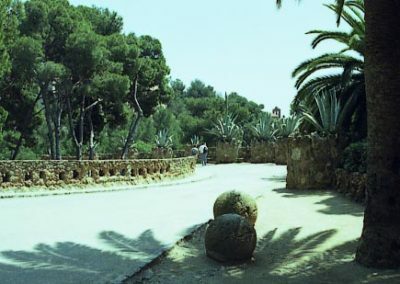 Gaudí was very interested to assure good communication between the different parts of the park. For that reason he built a path network, and to connect the different levels, he built also some viaducts. 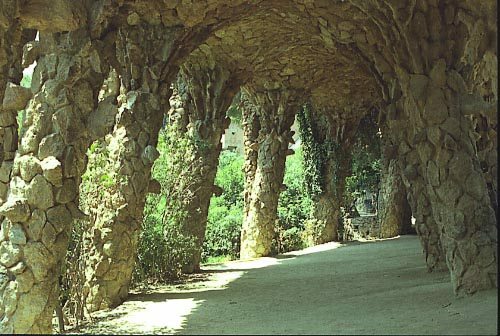 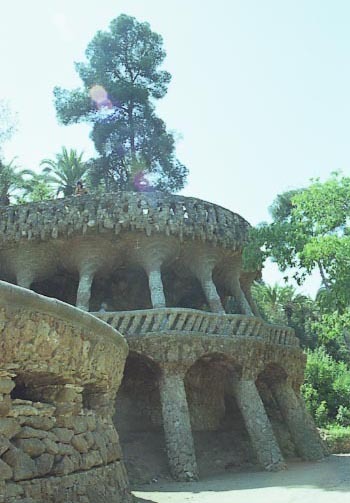 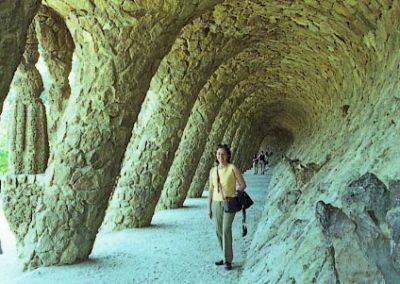 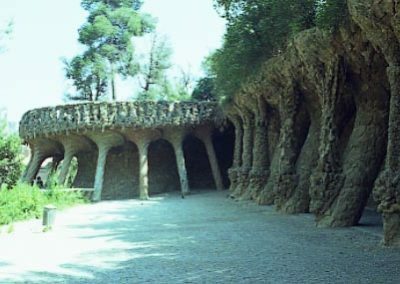 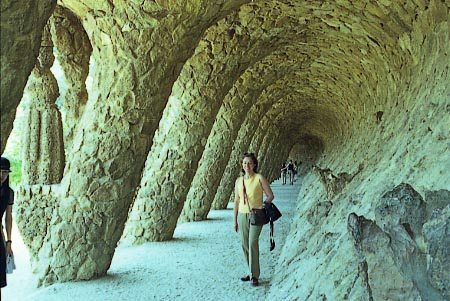 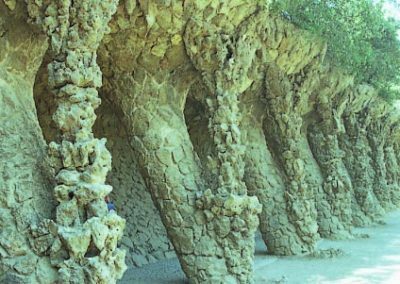 That viaducts-paths are the Bugadera (the washerwoman), and the three viaducts located around the Casa-Museu Gaudí. 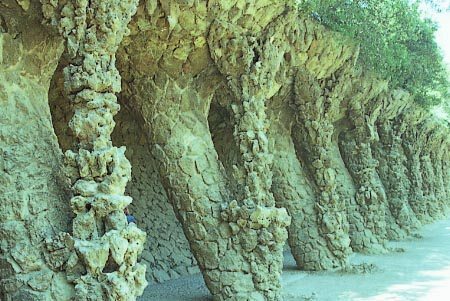 The Bugadera path show a series of different pillars at different levels, all them built with stone taken from the park land. 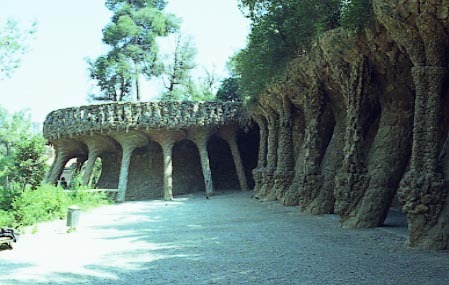 The portico is supported by a line of inclined columns. 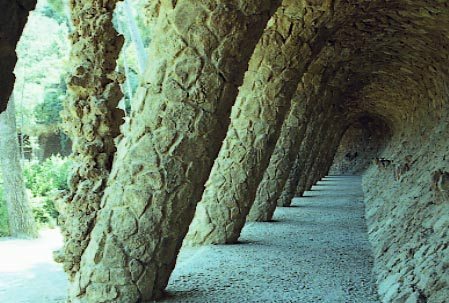 The end of the portico is formed by a semicircle of columns in two levels. 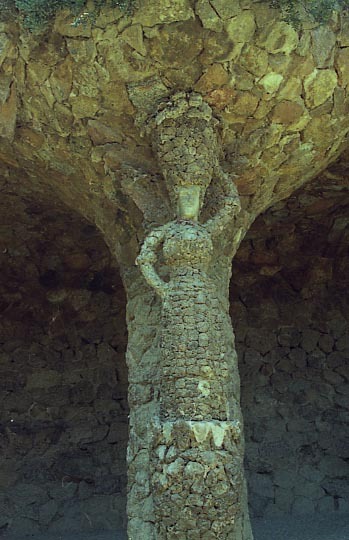 In the opposite extreme of path stands the statue of washerwoman as one more of motifs decorating every column. 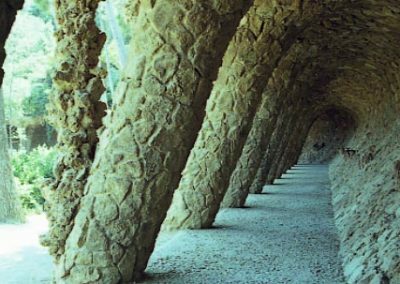 Each of three viaducts (Lower, Medium and Upper) are build in a very different manner.